Isolated on the east coast, fear of pirates and invasion gave the people of Great Yarmouth a distinct last frontier mentality. Once King John granted the town its Charter, a wall was the answer. However, delays due to the onset of plague meant the wall was obsolete as a defence even before completion. 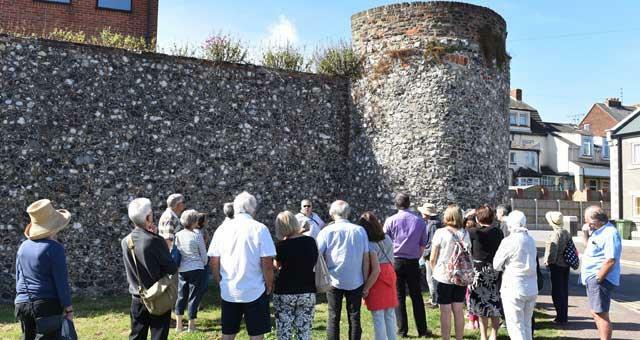 Walk England's second most complete Medieval Town Wall with our trained guides and find out why and how it was built, how it was reinforced in times of rebellion and civil war, and, whilst never coming under serious attack, how it defined the development of the town.